From commercial and industrial buildings to residential homes, Wilken Roofing & Sheet Metal in Hanover offers new roofing installation, repair, maintenance as well as providing custom flashing and skylight installation. Preventive maintenance is key to ensuring a long life for your roof. Since 1985, we have provided reliable roofing services to businesses and homeowners in Hanover and surrounding region. Whether it’s installing an EPDM roofing system on the new shopping complex or repairing a leaking roof, our experienced roof technicians at Wilken Roofing have seen it all. 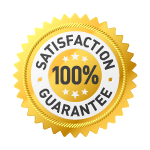 We offer exceptional service with a proven track record of customer satisfaction. Contact us for a free estimate of your roofing needs or for us to conduct a low-fee inspection. Remove unnecessary junk from your life easily and conveniently with Junk Dawg junk removal services. We have roll-off dumpsters of varying sizes to accommodate projects of all sizes. We also have a 24’ flat bed float service to transport your small to medium-size construction equipment.